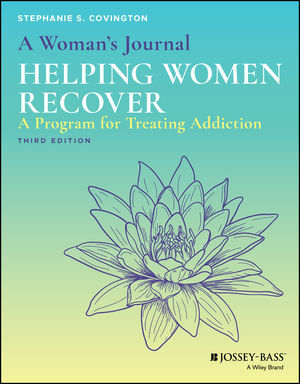 Since it was first published in 1999, Helping Women Recover has set the standard for best practice in the field of women's treatment. 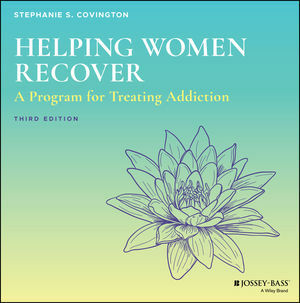 Helping Women Recover is a manualized treatment intervention based on Dr. Covington's Women's Integrated Treatment (WIT) model-offering a program developed to meet the unique needs of women addicted to alcohol, other drugs, and those with co-occurring disorders. Included in SAMHSA's National Registry of Evidence-based Programs and Practices, The Helping Women Recover program offers counselors, mental health professionals, and program administrators the tools they need to implement a gender-responsive, trauma-informed treatment program in group settings or with individual clients. Helping Women Recover is essential for mental health and addiction treatment professionals including counselors, therapists, social workers, psychologists, and psychiatrists who work with women in hospitals, addiction treatment programs, community mental health centers, and individual practices. Stephanie S. Covington, PhD, LCSW, is an internationally recognized clinician, organizational consultant, and lecturer. For more than thirty-five years her work has focused on the creation of gender-responsive and trauma-informed services. Her extensive experience includes designing women's services at the Betty Ford Center, developing programs for women in criminal justice settings, and being the featured therapist on the Oprah Winfrey Network TV show entitled Breaking Down the Bars. She has also served as a consultant to the United Nations Office on Drugs and Crime (UNODC) in Vienna and was selected for SAMHSA's Advisory Committee for Women's Services (ACWS). Educated at Columbia University and the Union Institute, Dr. Covington has conducted seminars for behavioral health professionals, community organizations, criminal justice professionals, and recovery groups in the United States, Canada, United Kingdom, Mexico, Europe, Africa, Iceland, Brazil, and New Zealand. She has served on the faculties of the University of Southern California, San Diego State University, and the California School of Professional Psychology. She has published extensively, including ten gender-responsive, trauma-informed treatment curricula. Dr. Covington is based in La Jolla, California, where she is co-director of both the Institute for Relational Development and the Center for Gender & Justice.